So ladies and gentlemen, I've decided that Andrea over at Four Square Walls is my hero. But really. She works in the nonprofit community and still manages to crank out clothes like nobody's business. [And her blog is awesome, so give it a good read if you have time]. I myself come home and start doing nothing and then I just can't stop! BUT. Last night I made myself get up and sew after I took a 2-hour nap. It's not that I don't want to sew, it's just that I can't seem to get back up after I sink into the couch after a long day. Luckily I really like how my project is going! 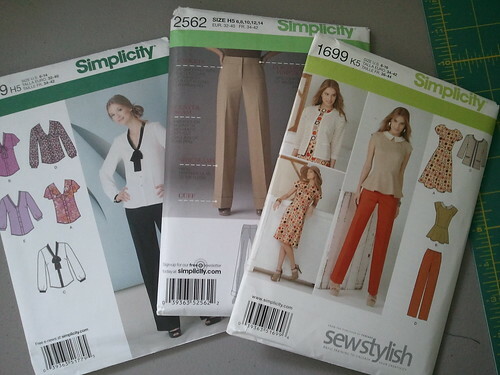 Need to practice your precision sewing? 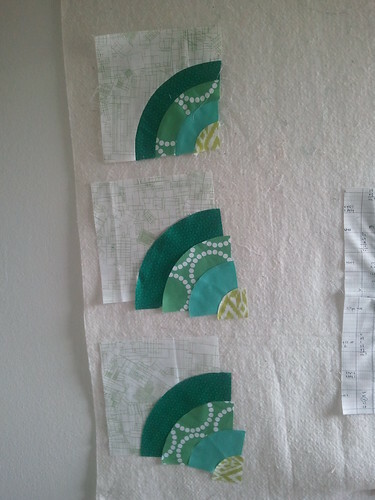 This is the perfect block to tackle curves and precise seams. Mine isn't perfect - it's off on 2 or 3 seams, but I consider it a win anyways. As you can see it's a little wrinkly in the Architextures graph print area, so I'll be cutting into the seams later tonight to help it lay flat. It doesn't even take that long to sew, but the cutting takes forever since I'm cutting by hand. So I've been cutting all the pieces for each unit at one time and then sewing it up. Doesn't it look like the little icon on the map when you get directions online?! I haven't decided on a layout just yet, but I do have several ideas. Plus, you know, several more blocks to make it through before I have to make a decision. Each block is 16" finished, just for reference. what a fab block, I love it! I'm also quite jealous that you'll be making some clothes afterwards. I don't really have time after work to sew, I get in about 7, have dinner and feed my rabbits then it's almost bedtime! Fun block. How many are you going to make?